Dungeons & Dragons has lots of licensed video games. But the pen-and-paper tabletop game that many gamers consider the soul of D&D is a game in flux. Fourth Edition, in its attempts to bring in new audiences and streamline old systems, also fragmented the base of D&D‘s tabletop gamers. Many older fans of the brand moved away from the new product, in favor of games that more closely resembled older editions. The most well-known of these is Paizo’s Pathfinder, a game often nicknamed “D&D 3.75.” The Open Gaming License that Third Edition D&D was released under opened the floodgates for games that utilized the D&D mechanics almost exactly, and allowed for a standardized rule document that means the game can be played in some form by almost anyone without spending a dime. 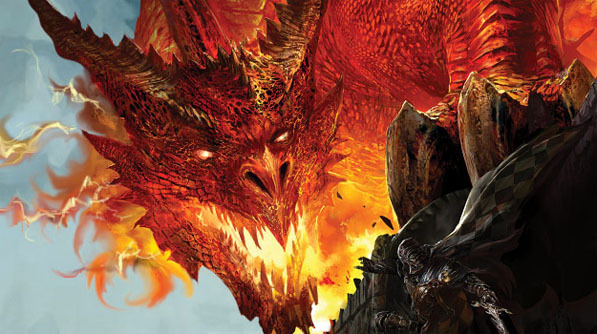 It was a good thing for the growth of roleplaying as a hobby, but a limiter for the Dungeons & Dragons brand in specific, since its old game mechanics can still be remixed and monetized without Wizards of the Coast’s permission. Yesterday, I wrote a little about the upcoming Neverwinter MMO. It has a heavy reliance on Fourth Edition mechanics and jargon, some of which may or may not change as the game continues to be developed. I walked out from that preview excited about the MMO, but worried that the timing is awkward for tabletop D&D players like myself. The highly public release information about the next edition of D&D is going to drown out any conversation about Fourth Edition, except to bury it. WotC is calling this new edition “D&D Next,” when they call it anything at all. My bet is that the players will continue to call it “Fifth Edition,” but that Hasbro marketing is against it. They’d prefer to think of it as a D&D Reboot, perhaps. Dungeons & Dragons Begins. I sat in on the D&D Next panel at PAX East, run by Mike Mearls and Jeremy Crawford. The panel was all recorded and put on-line. If you have interest, watch the panel here. It’s an hour long, so be prepared to sit back. It includes some general chatter, and a good deal of audience Q&A. If you didn’t watch the panel, here is the notion in brief: WotC wants to unite the tribes. They want to create a game where players who enjoyed First Edition, Second Edition, Third, Fourth, and every sub-edition in between can all play the same game in harmony. They want a game that is modular, where different bits and pieces can be slotted in or out depending on the needs of a particular game. But they also want a game that “feels like D&D,” and are trying to figure out still exactly what that means. It is going to be quite a challenge. This panel upset some people, because it’s the internet, and people like to be upset here. But in particular, without diving head-deep into a lot of threads, I saw surface grumblings from rpg.net users about the “marketing speak” that’s taken over D&D in the past few years. Some people are worried that it seems like Hasbro and marketing are running the show, draining all the passion out of what should be a heartfelt enterprise. Others are worried that the crowdsourcing approach that WotC is taking with D&D Next will dilute the vision. The Neverwinter MMO takes place in the Forgotten Realms setting. Meanwhile, in the same expo hall, another D&D MMO is out on the floor: this one, a game that’s been out and running hard for several years. This year, the popular Dungeons and Dragons Online is making a bid to bring its Eberron-focused setting in to the Forgotten Realms, with its new Menace of the Underdark expansion. 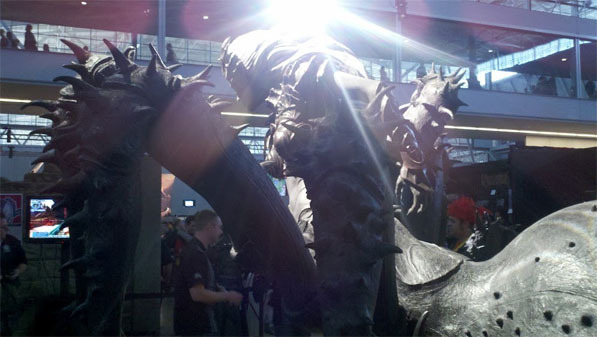 The Spider Queen herself, Lloth, was in attendance at PAX commemorating this historic event. I didn’t take a very good picture of her. I guess you could admire the mystery in it, though. I got a chance to try out a demo version of this new content myself. If you’re familiar with DDO, you might be aware that it takes an authorial approach to dungeon encounters, with the voice of an omnipresent “Dungeon Master” that narrates your exploits. At the start of the Lloth encounter, you will enter a cavern wherein the Spider Queen looms, surrounded by spider minions. Arachnophobes need not apply. Lloth will then capture you in a stunning web, so that aforementioned Dungeon Master can tell a good yarn about what you see around you in the room, and Lloth can get off her dramatic speech. The stunning web only wears off when she’s done talking, proving the omnipresent DDO Dungeon Master is one of those railroady types. Fighting Lloth was a timed challenge, and difficult. I’m not ashamed to say I didn’t quite pull it off when I tried, but I was entertained by trying. The expansion launches in June, so if you are a DDO player you’ll be able to take a stab at her yourself then. 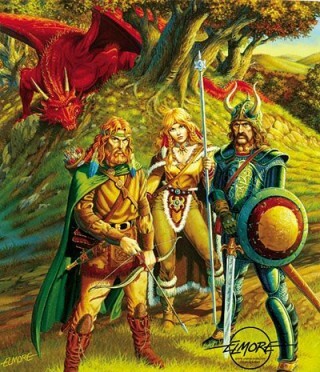 The next day, Sunday morning, I attended a reminiscing session for one of my favorite D&D settings, Dragonlance. Though not everyone agrees with the story-focused adventures of that particular brand, the people in the room were those that grew up with the tie-in novels, the characters, and campaign modules for the Dragonlance universe. We wanted to hear more about the world that we loved. To that end, we spent the panel talking about the past. Right now there are no official plans announced for Dragonlance in future D&D editions. There’s never been a good Dragonlance video game. There was a pretty good one for Planescape, which you might have heard of. And aside from this, there are other D&D settings: the classic Greyhawk, the deserts of Dark Sun, the horror worlds of Ravenloft, the Eastern-flavored Kara-tur. There is Spelljammer, where you play D&D in space and all the other D&D settings are on different planets that you might visit now and then. Most, though not all, of the D&D settings were introduced as part of Second Edition D&D. A strong focus on story and story-based modules was a part of TSR’s product line during those times. But the way Dungeons & Dragons is currently utilized by WotC, it’s not hard to get the feeling that the Forgotten Realms, as a setting, is where D&D has put down its anchor. The newest D&D board game is set in Waterdeep, a Faerûn city. Neverwinter is once again a central hub. In the DDO Underdark expansion, Lloth makes sure to kick a little dirt in the eyes of Third Edition’s flagship setting, declaring she can smell the “stink of Eberron” on your hero’s body. Welcome to Faerûn, and we hope that you enjoy your stay! A wealth of setting material exists for D&D that wasn’t utilized much for the current edition. The one setting that has been fleshed out robustly is Forgotten Realms, and, because there is so much information, that’s the mostly-default setting that D&D products are still gravitating towards. Don’t get me wrong, it’s a great setting, especially for introducing new players. Except for of course when new players might be hooked in by some other gateway, like I was with Dragonlance. One of the failings of D&D Fourth Edition is that it had a fairly weak default setting. The world called “Points of Light” was created to leave behind a lot of flexibility for individual Dungeon Masters who wanted to alter the world in their own ways. Any take on Points of Light would necessarily be an individualized take, since the setting itself was so loosely constructed, with no official overworld maps, and not much mention of politics. In practice, that meant that Points of Light stories could be released as modules independently of setting, but that nothing in this setting felt very connected to one another. It is a little too open-ended, leaving Dungeon Masters with only a few default story hooks. With the lack of any political structure in Points of Light, the default world conflicts are with generally with cults of dark gods: Orcus, Lloth, or Vecna. One can throw in a few humanoid monsters and a visit to the outer planes, but it takes some out-of-the-box thinking to hitch your campaign wagon to anything else. When WotC says that D&D Next is a D&D for all edition players, the question that hangs in the air most for me is where they will decide the game should be set. In many of the D&D tie-in products and video games, Faerûn is the world used most often. But it is never the default setting for the pen and paper edition. And the creation of another brand new world, mixed in the primordial soup from all previous editions, made 4th Edition’s setting feel like a watery soup indeed. Now here is D&D Next: not just a world trying to be everything, for everyone. But an entire game trying to be everything, for everyone. I am feeling optimistic that WotC might pull this off, but the challenge here is that they will have to create and train a new type of Dungeon Master. An experienced Dungeon Master is forward enough to state to players specifically what will be and what will not be in his upcoming campaign. But a neophyte Dungeon Master may not know how to pick and choose many different game modes from a fully modular game. It seems like the new form of Dungeons & Dragons, while trying to be the same as all its predecessors all wrapped in to one, may actually be something very different from a product standpoint. By the information I got at the D&D panel, Dungeons and Dragons open playtesting is going to begin later this month. I hope to bring you good news from those faraway places. That is, once they lift the NDAs. Great commentary, AJ. It was nice of Lloth to show up at a convention, especially given her busy schedule. I’ve played D&D on and off since I was just a wee lad – I remember we got the old red box first edition one Christmas when we were probably too young, but since we didn’t grow to be mass murderers I guess it’s okay. Especially in those early years, nothing beat D&D for firing the imagination, encouraging kids to read and invent new things, even teaching stuff like graph reading and statistics. Naturally the stupid people of the world assumed it was satanic. Personally I’m a fan of the Third Edition – First and Second were fine at the time, but in retrospect they seem like they made too much effort to be complex. Ideas like ThAC0 and arbitrary numbering systems made it hard for newcomers to get comfortable, and the rigidity of some rules made it more challenging for DMs who preferred to do their own world and system creation. The D20 simplicity of 3E struck me as a very elegant implementation of a system. From a business perspective, though, I agree it probably hurt Wizards of the Coast – D20 is such a straightforward concept that a gaming group doesn’t really need any supplements or rulebooks at all, which doesn’t make good economic sense to those trying to sell a product. In fairness I never learned much about Fourth Edition. When my gang plays we still play Third. I do appreciate what 4E was trying to do; some systemic problems remained in 3E, such as the power disparity between low and high level classes (ie, a low level mage is worthless and a low level fighter is deadly, but a high level mage is unstoppable and a high level fighter is severely disadvantaged, unless run by a good player and managed by a good DM). But I think they oversimplified too many aspects. This may be in part due to my personal non-interest in MMOs. I remember reading that WoTC made an effort to match the progress trees found in MMO games, and that really turned me off. I like that tabletop roleplaying is enjoying a sort of resurgence that is unlinked to any specific game. The Vampire craze in the 90s was fun, but again that system was overly rigid and the world was overly dictatorial. And I’m curious to see what they manage with the Fifth Edition (I agree, that’s what players are going to call it even if Hasbro decides to name the thing “D&D 360”). If they merge the stabilization efforts from 4E with the elegance of the 3E system it might really work out. One interesting point you make is the existence and level of fleshing-out that the D&D settings get. My gang was never particularly big on the pre-made worlds – Forgotten Realms, Ravenloft, all that. We were aware of them but mostly preferred to create our own. From one perspective, creating all those worlds and fiction is a solid business move; more supplements means more to sell. I’d be curious to see a pie chart of how many tabletop D&Ders used those worlds versus how many did not. I like that they’ve kept on keeping on. D&D is a legacy now, it deserves updates and effort. Great stuff, Aj! Both this and the piece on Neverwinter. I enjoyed all of that Fourth Edition mechanics and jargon. Like, Steerpike, and many (some?) around here, I’ve been playing D&D since I was a kid. I distinctly remember the first time playing. I was six years old and my character was quickly captured by orcs and killed. Despite that inauspicious beginning, I have never really stopped playing D&D (and countless other RPGs) for the last 32 years. My reaction to 4th edition was very much like Steerpike’s. I was a bit taken back by how the system tried to MMOize D&D. Because I am not a huge fan of MMOs, I came in with a pretty skeptical and negative view. I read through a few of the books at bookstores, but never actually sat down and tried to play it. And since I haven’t really played any D&D in the last 20 years – I can’t believe it’s been that long – without playing alongside Steerpike, our experiences are largely the same. Our group has been playing with 3rd (3.5) edition for a long, long time now. If we ever start a “new” D&D campaign (our current one is about 6 years old now), I imagine we’d stick to 3rd edition, using Pathfinder books as further supplements to the extent we need them. 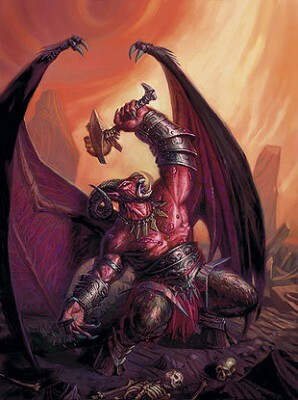 Given that almost all of our campaigns — save a rather horrific and torturous semi-campaign into the “Night Below” – have taken place in worlds that we and/or the Dungeon Master created from whole cloth, we don’t rely on manuals for too much more than basic rules, spells, equipment and the like. I think the thing that turned me off the most about 4th edition, besides the MMO-style of combat, was that it really seemed to narrow the types of characters that could exist. This might be more perception than reality, but getting rid of, say, spellbooks or the vast number of available cleric/druid/mage spells in favor of progress trees just didn’t seem right. Where was “Tensor’s Floating Disk”? “Bigby’s Crushing Hand”? I love all of those crazy spells, even if we tend to just fall back on a few mainstays more often than not. And, despite the fact that I never, ever play a mage. I played a psionic once and that was the closest I’ve ever come to playing a mage. I am very interested to see what 5th edition, or whatever it will be called, will bring to the table. Our group is very fortunate in that we all pretty much enjoy playing a very similar style game and have GMs who (mostly) are pretty reasonable and we all sort of use the rules as more of a guide than a firm structure, allowing us to modify things on the fly to add a sense of drama and realism when necessary. Great article AJ! Dragonlance holds a very special place in my heart (hell, just look at my user name). I read the very first novel, Dragons of Autumn Twilight, when I was 11 and I credit it for getting me into novels, reading, fantasy, science-fiction and setting the groundwork for who I am today as far as general interests go. Like others I played D&D with my friends when I was a kid but I have not done so since highschool and haven’t kept up with what has been going on ever since. AD&D Second Edition was the last I experienced. Tabletop RPGs are probably my best love out there, and if I get a chance to work in those I’ll take it – but I’ve never much cared for D&D, keeping in mind that I started into roleplaying (with Shadowrun 3) when D&D 3.0 was pretty new. I’ve played everything but Basic at least a little, though. I have a laundry list of problems with 3.5/d20 as a system, and never enjoyed them terribly. Many of those issues were at least somewhat alleviated by variants on them – my favorites being the Star Wars Saga Edition and Pathfinder – but I’d still rather play something else. But 4e was a different matter. As a game system, I like 4e better than 3.x. Much better. The MMO similarity is obvious in the broad strokes, but the nature of the game is so far from MMO – being a small group in one place (probably), not real time, and so on – that I feel the similarity disappears quickly in practice. What it really did was turn 4e into a tactical miniatures game, and not a bad one at that, truth be told. But the roleplaying aspects, the part that made the game compelling outside of battle, were lost almost entirely. In theory I liked the game’s landscape better still in Second Edition, when there was that proliferation of settings and storytelling material. Again, I’m coming at this from after the fact, and acknowledge that the mechanics were dubious at best, but the philosophy seemed right. 3.x never seemed to adhere to that in a real way, despite the torrent of supplementary material that released for it, and a lot of that was filled with new mechanics: rules, classes, races, spells. That’s nice, I guess, but it started to become a lot to keep track of. I wonder about the state of the D&D brand a lot. As someone who still tries to play a lot of RPGs, and keeps track of goings-on in that world, it’s still the greatest powerhouse there is. There’s a lot of brand loyalty, even if it ends up being to technically discontinued product lines. But new games that become successful emphasize the storytelling, not the mechanics (though they frequently have to find a very good set of mechanics to facilitate the storytelling). D&D, in true big-business form, exhibits a complete lack of understanding of this fact. It’s true that RPGs are, in some ways, in direct opposition to video games, especially…well, RPGs. But in the end a player looking for a cool game experience is going to be hard to please with one that requires learning a lot of rules, hours of setup, and at least three or four other people in the same physical space when he could just boot up his PS3. D&D is not going to secure its future by emulating the mechanics of video games. D&D needs to demonstrate what it can do that video games can’t. Steerpike: Yes, for running my campaigns I also used a homemade setting, primarily. It made a good translation to 4E in my next-to-last campaign. But for my newest campaign, since I was working with some people I hadn’t played with before, I decided to run PoL more-or-less as-written. It’s got some good bits (I like the Feywild and leaned on it heavily in my last campaign) but I don’t really care much for the pantheon and the fact that you still have to do all the political structure stuff by yourself. Ajax: Crazy utility spells? Yes, they’re gone. The bit about less types of characters is sort of true and sort of not. D&D4 sacrificed flexibility of character creation before play for flexibility /in/-play. I think this is largely a perception problem from reading the books versus playing the game. When you played 3.5, sure, you had the ability to create any zany character, but what that actual character could do at any point was limited. In 4e you have a more limited choice of some very versatile builds with lots of lists of tricks. So… not to get edition warzy, but if you feel like 4e doesn’t give you as many options, it does, just the options were put in a different place. Dix: Yeah, I agree with basically everything you’ve said about 4/3.5. It actually took me a lot of gaming to realize I didn’t like 3.5 though. Disclosurely I must say I’ve never played 4E, never in fact read any of the sourcebooks. I’ve glanced. It’s only fair to acknowledge that. I probably shouldn’t judge without trying. I think one of the interesting aspects of D&D in general is that its creators were somewhat at odds about what the game was supposed to be. Gygax was much more into the tactical simulations and Arneson was into the roleplay elements. Preferring the latter, we tend to use the concept and rules as a basic framework and sort of invent the rest, but then this group has been playing together for a long time and there’s a comfort that comes with that. I agree with Dix, D&D is not going to reach its ultimate potential by pretending to be a video game. Similarly CRPGs have a lot to learn from the structure of tabletop roleplaying, but are their own medium. 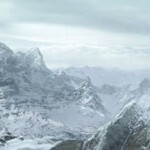 A game like, oh, Skyrim probably would be a disaster if you tried to run it on a table. From storyline to structure to mechanics, it just wouldn’t work. TRPGs and CRPGs can learn from each other but shouldn’t over-emulate. I’m a bit between Ajax and Dix/AJ in things like crazy utility spells. Mechanisms like listed spells and hit points have never worked perfectly, but they’re better than overly-freeform alternatives. As D&D evolves it tends to smooth things out and improve them. That’s part of the reason I’m curious about 5E, to see if they’re able to merge the best of 3E (simplicity of system) with the best of 4E (whatever’s best about 4E, which I can’t say since I haven’t played). I sense a fine, fine – if highly geeky – debate blossoming on this comment thread! I have never played 4E either. I’ve probably only spent a little over an hour reading over a few of the rule books, mainly whatever the equivalent of the “Player’s Handbook” would be. So, most of my impressions are based on that limited exposure and what I’ve read elsewhere. Based on that, I can’t really compare 4E against the other editions. I do know that, based on playing miniature games as well, I am not a huge fan of making combat in a RPG more like a tactical miniatures game. I much prefer combat to flow naturally and sort of take on the feeling of something you’d read in a book or see in a movie. There are many aspects of 3E that are like that, but we really only tend to use those as concepts as opposed to hardline rules. As I have evolved as a role player, I find that a large extent that, so long as the system doesn’t get in the way of the game, I really don’t care what system I’m playing. One of the best and most memorable campaigns I was ever involved in was a “Kult” campaign. While it was back in college (which is sometime ago now), I have no idea what the system was like. I can’t recall what dice we used, what stats had, skills, anything. All I remember is an amazing campaign and role playing experience. It seems like a lot of modern systems try to reward or compel players to “role play” better. You get more dice or advantages if you “describe the scene” better or something along those lines. Because I am fortunate enough to play with a group of like-minded people, all of whom enjoy the same style of role playing I do, we really don’t lack of role playing, getting into character, or describing the action. So, the system is kind of useless. What I like about the D20 system is that it’s very straight forward. You have your stat + skill + dice and a then a target number. Given the variety of skills to choose, it really allows characters to be quite varied and the system largely reflects that. If you have a high stat in something, you’re going to be naturally good at a certain task, but not as good as someone who has really invested time, energy and hard work (has a higher skill). However, if you have a high stat (say, a 20 charisma) and a high skill (say a 15 in Intimidation), you are just going to super awesome almost all the time. Demi-Godesque. I also really like the idea of feats as a way to allow further character variation. My biggest problem with the d20 system is that it’s a bit too random. Taking D&D 3E, for example, if someone has a 18 strength they get a +4 on their roll. Someone with an 10 strength gets +0. Because you’re rolling a d20, however, that +4 just doesn’t represent a big enough advantage to the person with the 18 strength who really should really have better than a 20% on someone who much, much weaker than they are. I have no problem with a percentile system like the one used in Chaosium games, mainly Chthulhu but also in the Elf Quest role-playing game, which I used to play back in the day. The Vampire system, with all of those d10’s, was always weird since at some point having more dice just meant a higher chance of rolling 1’s. It’s been so long since I played some other games, I only have a vague recollection of how those old systems work. The hit point system has never really worked, but you need some proxy for it. And, if a game is too realistic (deadly) it’s not terribly fun. It’s hard to have an epic adventure with heroes when the heroes keep dying all the time. At the end of the day, however, I think with the right GM/DM and right group of players, almost any system can be used and the game can be a blast. I, too, am curious about 5E. I’ve read somethings about it that definitely make me curious. Any idea when they plan to release? I assume hoping for a GenCon release would be waaay too soon. Ajax: Word I got is open beta will start this month, for those signed up to playtest. As for a full-release, I doubt it’s ready, but you’ll probably see playtesting at GenCon. I, too, like the mechanics of 4E as a game system very much, but agree that it does feel like a rather large departure from the core tenets of D&D past. I’m cautiously optimistic about the modular design of 5E. I would love to see it work out well, but part of me sees that as impossible. Also due to family and other factors, I don’t really get to play the PnP version, and I have a hard time seeing how a computerized version of a modular set would work out. The game designers would just pick a subset of modules to use, and that would rob the player of the value of the modular nature altogether. I have to say I kind of like the “points of light” idea. I think I like it because it seems a little more gritty and low-/medium- magic than Forgotten Realms. I can’t stand Forgotten Realms or high-magic settings. When you’ve got gods wandering around, Elminster boffing gods, etc etc, it’s all just too much for me. I prefer something that feels more natural and politically focused like Greyhawk. Yeah, I like PoL as a concept, in the sense of it being somewhat low-magic. But if you combine it with the suggested treasure packages, the low-magic feel goes away, since there’s a good deal of magic in the packages (to the tune of 1 magic item per player per level, which I find fast-paced). I also like a politically focused setting but that, PoL is not, because no politics are really established. I started playing D&D when it was called AD&D almost 30 years ago and the steps made between first, second and third editions were always a huge step forward. Then came 4e and the whole thing changed for the worse due to simplification of the classes and removal of things which had made sense (like the alignments made up of two axis’ and many skills). Customization of a character was gone, but moreso the distinctiveness of the classes was gone. All of them look the same … and all of them can be replaced by another class without any need to change your playstyle. That reduced the flavor of the game by a lot, because it is a huge difference if the Wizard can run out of spells on a longer adventuring day or not. That is the biggest mistake of ALL RPG games today, they are trying to “balance” the game because players – first and foremost PvP junkies – are starting to cry and whine if you dont do it. WoW had “asymmetrical” classes in the beginning, but they had to be changed because some were not competitive enough or overpowered in PvP. Thats a bad thing for a game which – at its core – is all about PvE. Look at the classes from Everquest … an Enchanter with long duration stuns can never exist in an MMO with a significant amount of PvP. It would just be too strong (and boring for the opponent) OR that ability which defines the class would have to be nerfed to tiny subatomic particles. Its the gamers loss to call out for balanced classes. Overpowered classes just need to be made dependant upon others for PvE and everything is ok and the same works for D&D. Spellcasters should run out of spells eventually while Warriors should be able to continue swinging their sword as long as they keep standing. Rabiator: I understand your argument, but don’t agree. The wizard running out of spells usually didn’t result in a more varied game. It just caused adventuring days to be ‘shorter’ since everyone had to stop when the wizard ran out of spells. Otherwise, it is plenty not-fun for the wizard player to have nothing to do while everyone else still has things left to do. Since the wizard at higher levels was also the most useful character by far, it made sense to continually put the adventure on hold for him/her to recharge. If anything, 4e over-corrected in this department by causing /everyone/ to run out of everything at a certain time, but they did put in some nice incentives (milestones, action points) for adventurers to keep going. I think it is a step in the right direction. My goodness, reading this article plus the comments is giving me some serious nostalgia for way back when I would make a day/night of it with friends to play. I really have some good memories of some of our sit downs. I think 2nd edition rules was what we were using.